My oldest son hates having chickens. He hates his chicken chore and thinks they are a waste of time. I have thought alot about that lately. It has been winter and the chickens aren’t laying much. We have even had to go out and buy eggs this winter because we only have 5 hens (we had bad predator attacks in the fall). So why do we even bother? Well, let me tell you why. 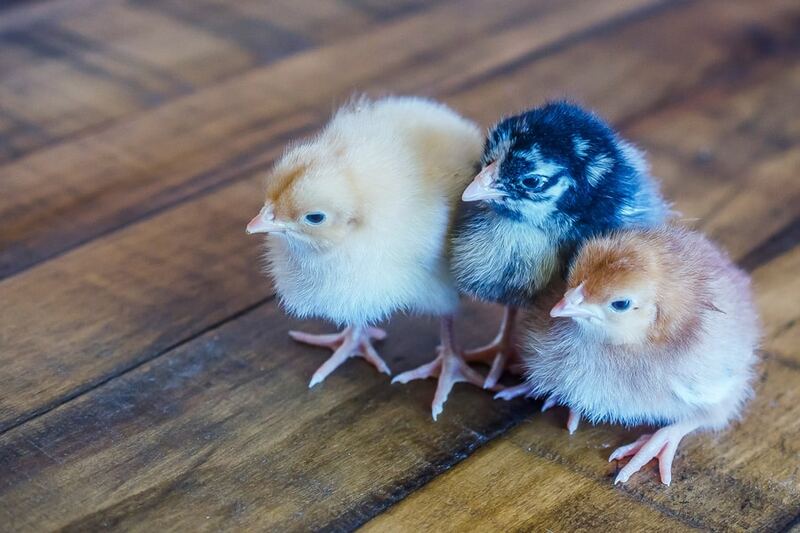 Why do we keep chickens? 1. We keep chickens on our homestead mostly for the eggs. Farm fresh eggs are so much healthier than store bought eggs. The yolks are deeper yellow and they have thicker shells. The store bought eggs are pale yellow, which means they aren’t as nutritious as farm eggs. 2. Our chickens have a good life and are treated well while they are alive. 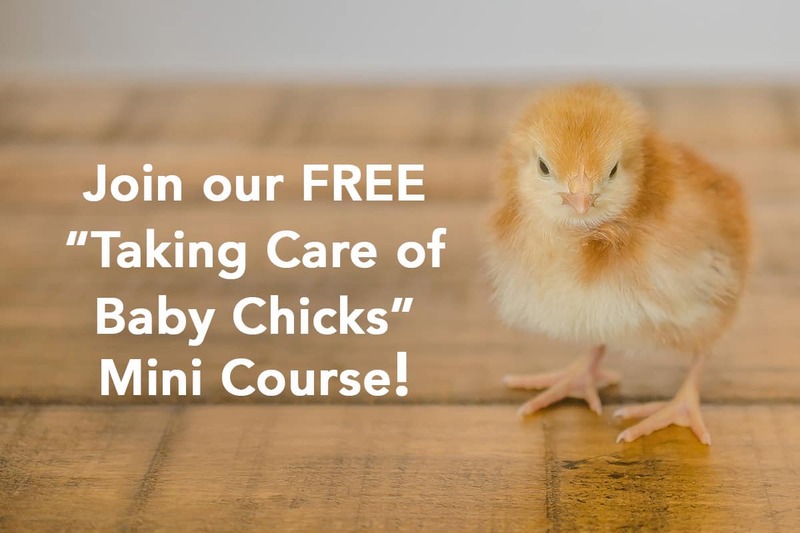 If you have ever seen any of the videos or documentaries about how chickens are treated on factory farms, it will make you never want to eat a chicken or eggs again. Our chickens have room to move, free range and and a comfortable place to live. They eat scraps from the house and always have access to water. This is the way chickens should live and we appreciate all they give us in return. 3. To teach our children responsibility. As much as my oldest hates it, chickens are a great animal for kids to learn responsibility with. They have to feed, water and house the chickens. They have to collect the eggs and clean out the chicken coop. They need to understand that the chickens depend on them for survival and in return they give us all the things listed below. It is a good thing for kids to have this kind of responsibility when they are young. It is one of our core homesteading values. Chickens are just fun to watch. Many breeds are just beautiful and have personalities all their own. They pick at each other, chase each other and fight over food. The roosters try to rule the roost, but don’t always win. They are very entertaining. 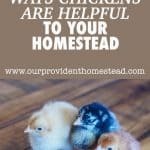 Why are chickens helpful on the homestead? Eggs- As mentioned above, a chicken’s main purpose is to provide eggs for our family. Meat- We also butcher our chickens for meat (dual purpose birds) when they have stopped laying. Manure- Chicken manure is awesome for adding nutrients to your garden (compost first). Tilling- Chickens are great tillers. If you want to till your garden or spread a compost pile, just leave the chickens in the area for several weeks and they will get the job done! Eating Scraps- Chickens love scraps from the kitchen. This helps in food waste and trash costs. 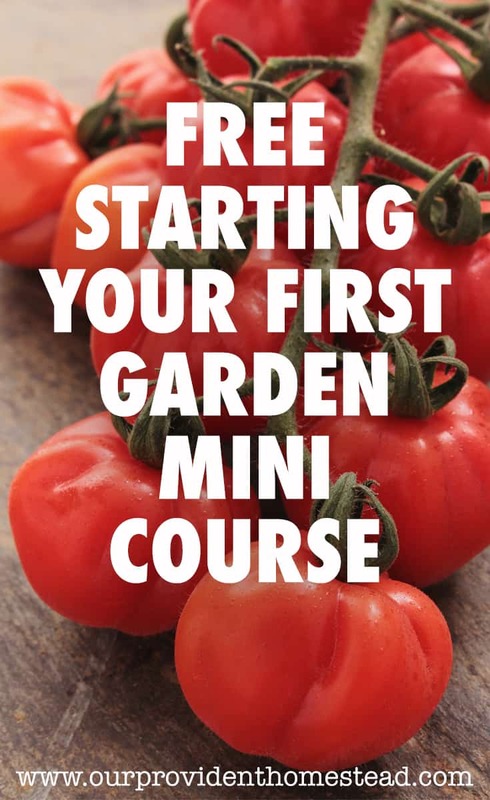 Eat Bugs in the Garden- Do you have bugs in your garden you would like to get rid of? Let the chickens out (supervised) and they will eat the bugs first before they bother the plants. It is a win for everyone! This is a debate that will continue on forever. It depends on many factors, so it is hard to give a definitive answer. Organic, “cage free” eggs at the store cost anywhere between $4-$5 a dozen. How much food they eat. How much they forage for food. How much kitchen scraps they eat. How big they are when they are butchered. I believe it is a wash (or break even) because in the winter they eat store bought food and lay less, but in the summer they eat less store bought food and lay about 1 egg a day. I don’t have the exact numbers, but when you factor in the nutrition of home grown eggs and the other things they do on the list above, I feel like I am coming out ahead in the chicken department. So if you ask me, I say yes. Chickens are worth it. 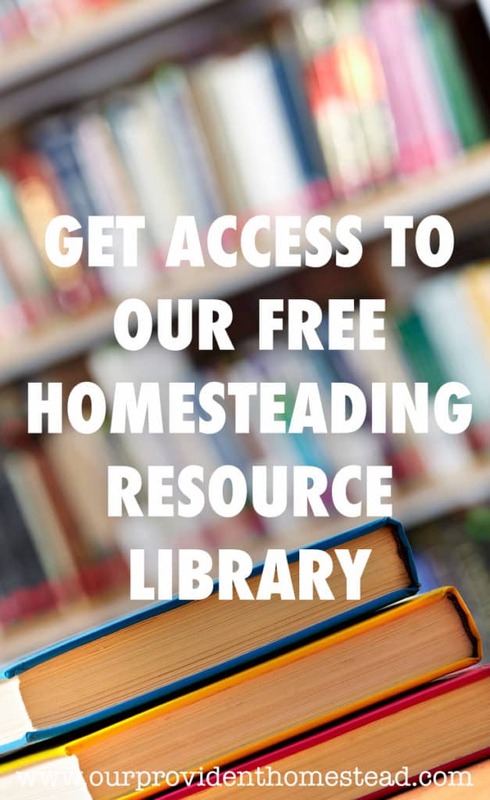 They are worth it monetarily, are good for our health and help our homestead in many ways. They are a great “gateway animal” for a productive homestead. 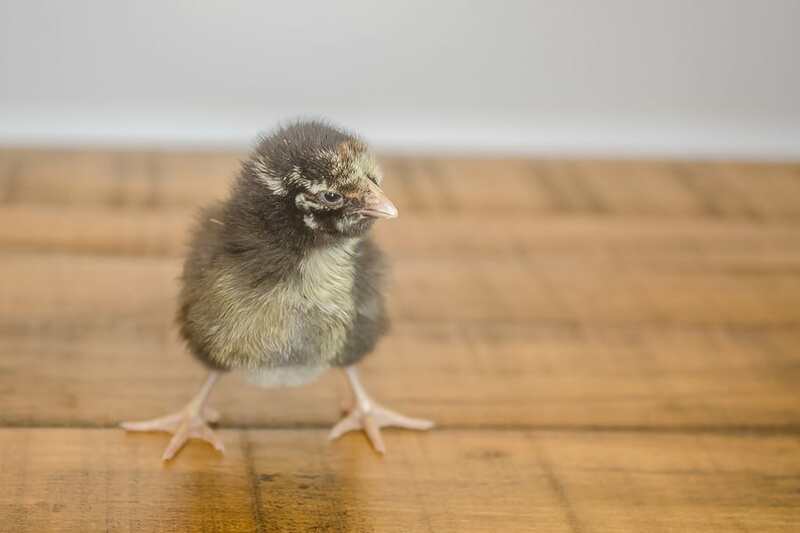 If you haven’t had chickens before, this is the year to get started. If you don’t have much room, you can start with half a dozen and a store bought coop. If you have more, you can get more. It is totally adaptable to your situation. If you can get chickens, you will be glad you did. They are fun and entertaining on top of being very practical. Its a win-win! 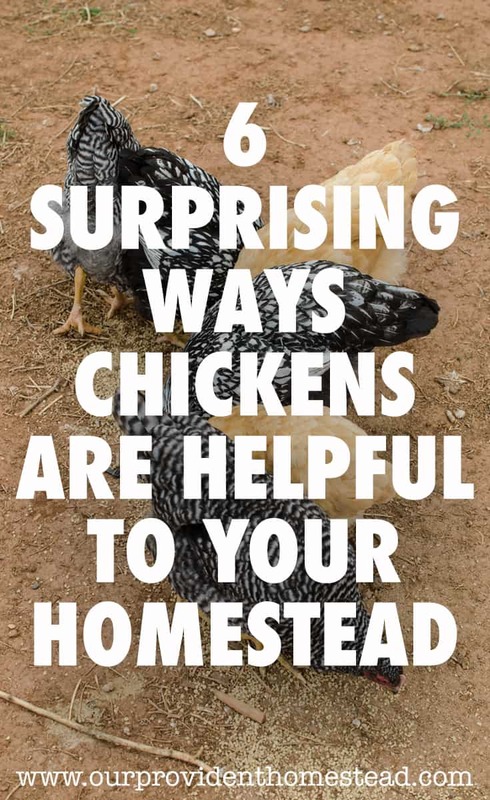 How do you use chickens on your homestead? Please let us know in the comments below. And if you enjoyed this post, please use the share buttons to tell others about it. Thanks!